Telko S003M IR motion detector, Radio Shack 49425 Motion Detector Streetwise motion sensor, PIR SHS-200P1 Motion Sensor, 2- Copper Dowsing rods, Uniden 1400 FRS radio, Cobra PR 155 VP 2-Way Radio 2-Motorola Talkabout 5950 Two Way FRS Radio, 2-Cobra Cleartalk FRS radio, 2-Uniden FRS radio, 2-Bellsouth FRS radio, 2-Cobra Cleartalk FRS radios, 2-Bell South 18 channel 2 way FRS radio, 2-Uniden TR620 FRS radio, 2-Motorola Talkabout® FV200R two-way radio. This was SJGR's third visit to this private home in Glen Gardner, NJ. We were asked to return to the home by the clients in order to gain additional evidence as was gathered on previous investigations to better understand the activity occurring in the home. The physical evidence collected consisted of 10 EVPs, some of which appear to interact with investigators and their questions, and 2 positive photos with energy orb anomalies in them. 0.87% of the positive photos obtained falls below the normal expectation range, so cannot be factored into the overall evidence. However, the photos correspond to events investigators were experiencing at the time the photo was taken. There were 5 anomalous EMF readings, but no motion sensor or temperature readings obtained during the investigation. 9:32pm - Investigator Smith took this photo in the Garage after Investigator Delucio sees movement. 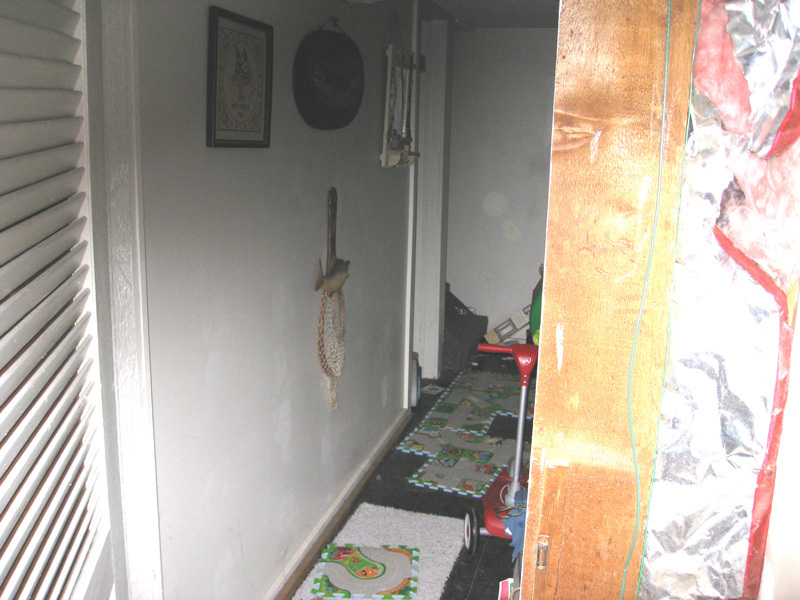 10:40pm - Investigator Niedt took this photo after Investigator Haines felt a hand on her back while in the Basement.